WA-Net Training Course on “Climate Resilience: Access to Water Supply and Sanitation”, 7 to 11 August 2017, Kaduna-Nigeria. A training course was organised by the National Water Resources Institute in collaboration with the West African Network (WANet) for Capacity Building for the water resources sector in the West Africa sub region at the National Water Resources Institute, Kaduna from 7th to 11th of August 2017. This training focused on the premise that the issues touching all segments of the society and all economic sectors demand more integrated approaches to developing and managing water resources and sanitation and hygiene. The training course on Integrated Water Resources Management was organized by National Water Resources Institute from 19th-22nd October 2015. The training was organized for staff of the Federal Ministry of Agriculture, Federal Ministry of Water Resources and National Water Resources Institute. 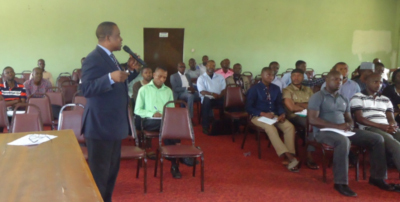 Thirty-five participants took part in the training course: twenty from the Federal Ministry of Water Resources, ten from the Federal Ministry of Agriculture and five from National Water Resources Institute. Of the total participants, 23 were male and 12 were female. The programme began withthe opening ceremony which was Chaired by the Executive Director of the National Water Resources Institute Dr. E.A Adanu. After an introductory speech and remark from the Director of Training and WA-Net Manager, Dr. Martin O. Eduvie, the Executive Director declared the workshop opened. The training course on Climate Change Resilience: Access to Water Supply and Sanitation was held from 5nd to 9thOctober, 2015 at the Conference hall of Water Suite Kaduna, Nigeria. A total number of 30 participants spread across various government organizations attended the training program. 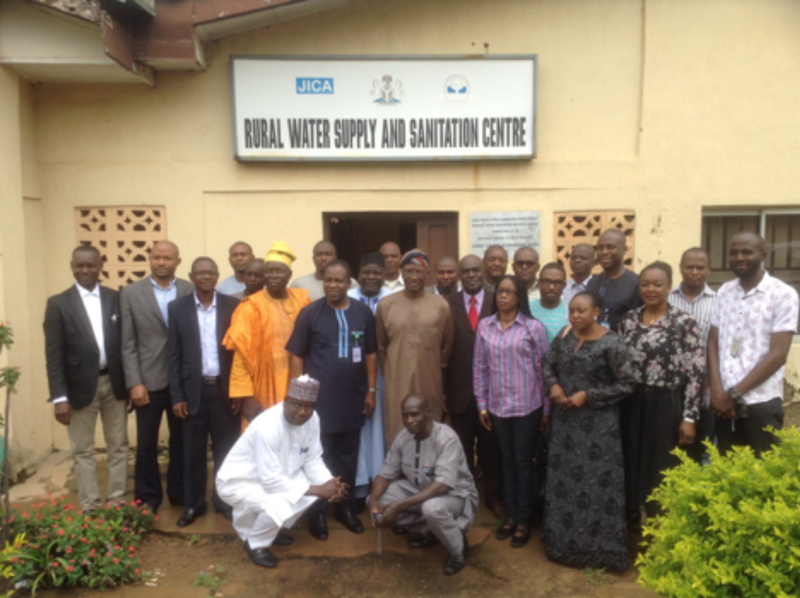 The participants were from the Federal Ministry of Water Resources, River Basin Development Organizations, Nigeria Integrated Water Resources Management Commission, Rural Water Supply and Sanitation Agencies, National Water Resources Institute, States Water Boards, Nigeria Hydrological Agency, and States Ministry of Water Resources. 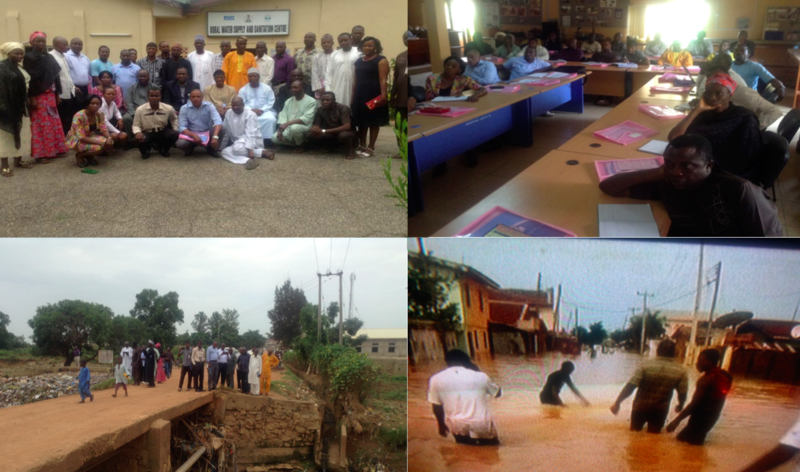 Workshop on the Orientation and Sensitization on Integrated Water Resources Management – 10 to 12 February 2015, Kaduna, Nigeria. 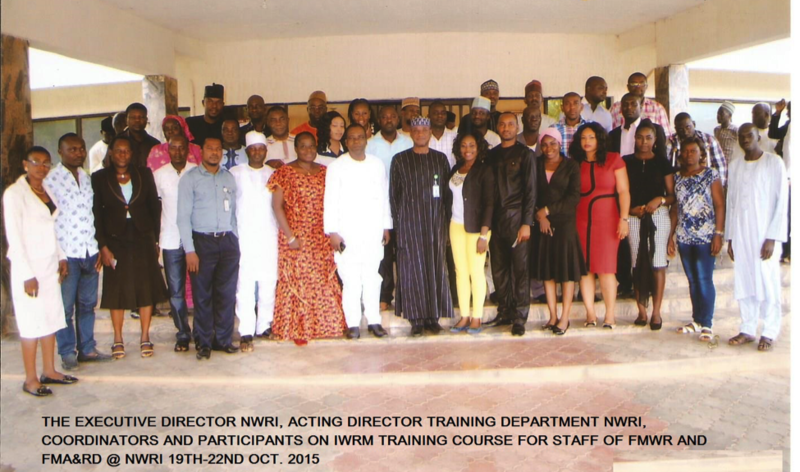 National Water Resource Institute (NWRI), Kaduna Nigeria in collaboration with Wa-Net at the NWRI, organized a workshop on Integrated Water Resources Management (IWRM) for a total of 57 newly employed staff into NWRI and the Federal Ministry of Water Resources (FMWR) from 10 to 12 of February, 2015.